Researchers at the University of Pennsylvania’s Abramson Cancer Center are investigating whether Precision Nutrition’s Coaching Program might benefit young adult cancer survivors. As of January 2012, 45 cancer survivors joined PN Coaching as part of the initial pilot project. Last week, we accepted a new group of clients into our Precision Nutrition Coaching Program. This one looks to be our best yet: we’ve got a motivated group (the women’s group sold out in minutes! ), numerous improvements to the program based on our ongoing research, and the best coaches in the world. From all of us at PN, a warm welcome to all our new clients. This is going to be a great year; a challenging one, to be sure, but more than worth it. This most recent group includes men and women from 27 different countries, from all walks of life, from age 21 to 68. And among those new clients is a special group of 45 young adult cancer survivors. Hear it spoken in hushed tones in a doctor’s office, or over the phone, and you’ll feel for a moment like your heart has already stopped. I remember that phone call, from my mother, saying that C-word. She survived her cancer. So did our colleague and client Alwyn Cosgrove. So have many of our Precision Nutrition Coaching clients. But first, we had to roll that horrible C-word around in our mouths an awful lot, along with similarly repugnant words like malignant. Stage 3. Chemotherapy. Stochastic. Cancer touches almost all of us in some way. A cancer diagnosis — whether for you, or a loved one — is life-changing. If folks survive, they’re often left with bodies ravaged by medication, radiation, and surgery. Bodies that may often look lean, but that suffer from sarcopenic obesity — wasted muscle, fragile bones, softened tissues. Frail. Skinny-fat… or just regular over-fat after enduring the side effects of medications. Metabolically disrupted. In women, maybe prematurely menopausal. Perhaps these bodies are now missing something, such as a chunk of flesh. Missing their freedom to move without restrictions. Missing their appetite or proper nutrition. Missing a sense of what’s “normal” and “healthy”, which got lost somewhere between the 32nd doctor’s visit and sorting out handfuls of multi-coloured pills on the kitchen table. Cancer survivors must get used to a new way of life along with a new body. Yet often, although they’ve gotten up close and personal with their own fragility, cancer survivors’ spirits remain tough as old shoe leather. No bloody way they’re going to let cancer get them again, they say. This time, they think, they’re gonna throw everything they’ve got into rebuilding their battered bodies. This is especially true for young cancer survivors, women with early breast cancer or men with testicular cancer. They have their whole lives ahead of them. They’ve got decades full of things to do ahead of them, damn it! Carrie Stricker, PhD, RN and Kathryn Schmitz, PhD, MPH, both researchers at the University of Pennsylvania, are hard at work leading a team to investigate whether the Precision Nutrition Coaching Program could be one strategy to improve their chances. To this end, they’ll be supervising as 45 young cancer survivors go through Precision Nutrition Coaching from beginning to end. Shannon Lynch is a doctoral student and part of the Penn research team. Shannon remembers her own Precision Nutrition coaching experience well, having been a client last year. She’s also working on a PhD in epidemiology, with a growing interest in helping cancer survivors adopt healthy lifestyles post-treatment. Through her studies at the University of Pennsylvania, Shannon came to know Dr. Schmitz, an associate professor at Penn, well-known for research on physical activity and breast cancer survivors, and learned that she had written a grant proposal for an internet-based program to help testicular cancer survivors. “I looked at her proposal,” recalls Shannon, “and said, ‘I think there’s a program out there for this already.’” Dr. Schmitz and Shannon brought Dr. Stricker, a clinical assistant professor of nursing at Penn, in on these discussions, given her ongoing program of research and clinical care in cancer survivorship. Then they got in touch with Dr. John Berardi. He was just as excited about the possibilities as they were. After all, it’s not every day that a world-class authority on cancer research, leading innovative and ground-breaking projects, wants to know about Precision Nutrition Coaching. And as it so happens, JB had just come up with PN’s new mantra: Life-changing, research-driven nutrition coaching for everyone. Yes, everyone. Now including young cancer survivors. Can Precision Nutrition Coaching work for cancer survivors? First comes the study. The first step is to see if this program is not only workable, safe, and adaptable for cancer survivors, but also to explore if the Internet-based exercise program and nutrition coaching that Precision Nutrition offers can help young cancer survivors look, feel, and perform better, even after a potentially devastating illness. It’s a tall order. Although we’ve supported many of our coaching clients through a cancer diagnosis and recovery, we’ve never tried specifically to seek out and help young cancer survivors in particular. So, like Precision Nutrition’s “one habit at a time” coaching method, the Penn team is starting small. They’re beginning with a pilot study: The January 2012 round of Precision Nutrition coaching will host a cohort of female survivors of breast cancer, and male survivors of testicular cancer. 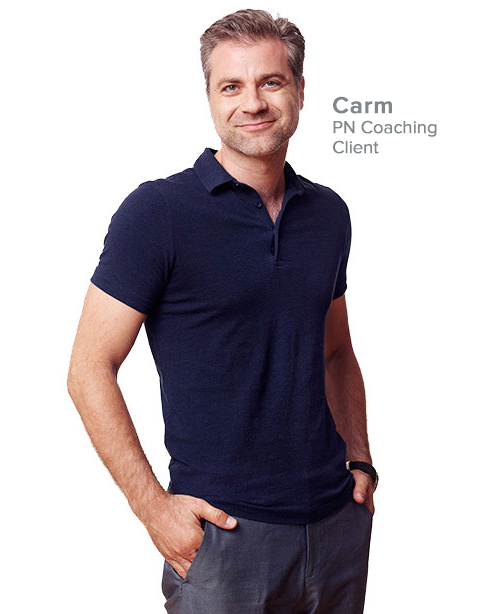 Just like our other coaching clients, they’ll work with a coach; get lessons, workouts, and habits; and participate on the support forum — with one key difference: We want to know if PN Coaching helps improve their health and wellness after going through cancer treatment. What’s unique about young cancer survivors? What are their demands, concerns, and experiences? What do they need from Precision Nutrition coaching? What do they like/dislike about it? How can the program be better tailored to cancer survivors? They will use this information, along with other metrics like body measurements and health indicators, to see if this program can help young cancer survivors. What do cancer survivors need and want? As the Penn team reaches out into the community of young cancer survivors, they’re testing assumptions about what barriers people might face. Interested survivors get more information about Precision Nutrition Coaching, decide whether they want to join, go through informed consent procedures, and schedule appointments to get baseline measurements done (such as weight, body measurements, and body fat). As participants go through the program, coaches carefully monitor their health and ability to do the workouts, with the Penn team carefully monitoring participants’ health and safety as well. This is especially important for cancer survivors who may be on medications that affect body fat and hormones. And, Shannon notes, Precision Nutrition coaching may help with the mental and emotional aspects of cancer survival as well. 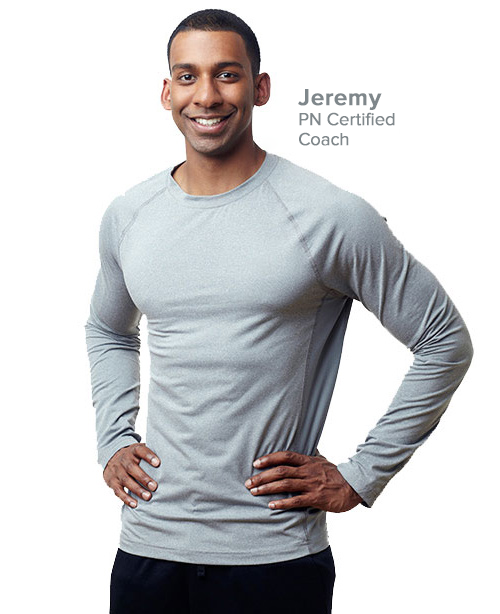 What makes Precision Nutrition Coaching special? 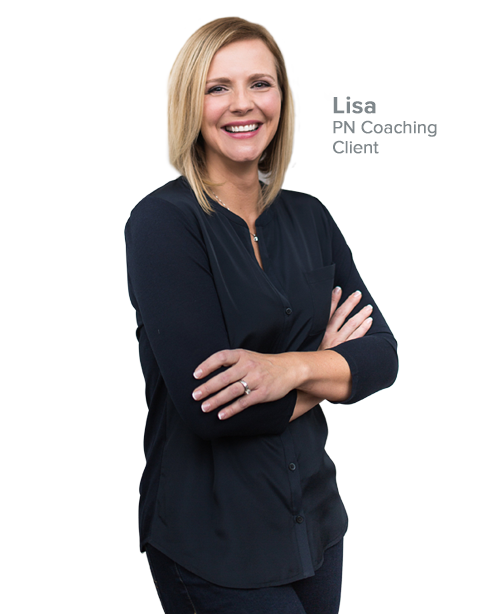 Shannon is eager to see if survivors will benefit from the in-depth coaching that Precision Nutrition offers. We’re excited, and proud to play a part. Her participants are excited. (And maybe a little nervous. That’s normal.) Of course, Shannon’s excited too.